Shake up your lip game with these products that are equal parts glamorous and unique. Orange lipstick often gets a bad rap. And that's not without cause — go too neon and you'll look like you got lost on your way to a rave; lean too close to true orange and you'll look disarmingly clown-like. But when you find your perfect shade, it can add an unexpected appeal; a unique twist that bumps your look up to the next level. 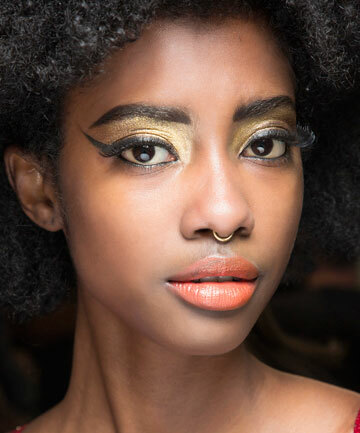 The right orange-tinged lipstick can be charmingly retro or even sophisticatedly vampy. With that in mind, we set out to find some burnt orange lipsticks — flattering, stylish shades that are actually easy to wear. And with a little sleuthing, we were able to find 14 gorgeous shades. Now, bear in mind that we're defining "burnt orange" rather loosely — we've included everything from more classic shades that lean closely to a warm red to deeper crimsons that are just shy of oxblood. (There may be a coppery rust or two, too). Keep on reading to see our top picks!